My flatmate and I are addicted to guacamole. It is always our go-to snack, whether it is while we are lazying around on an weekend afternoon or stumbling in at 2am and looking to satisfy the munchies. And for some reason, we are always motivated to make it ourselves – I don’t think I have ever purchased pre-made guacamole from the store. It’s such a quick and healthy snack to make – or if we are feeling fancy, we will make this with layered nachos or taco salads. 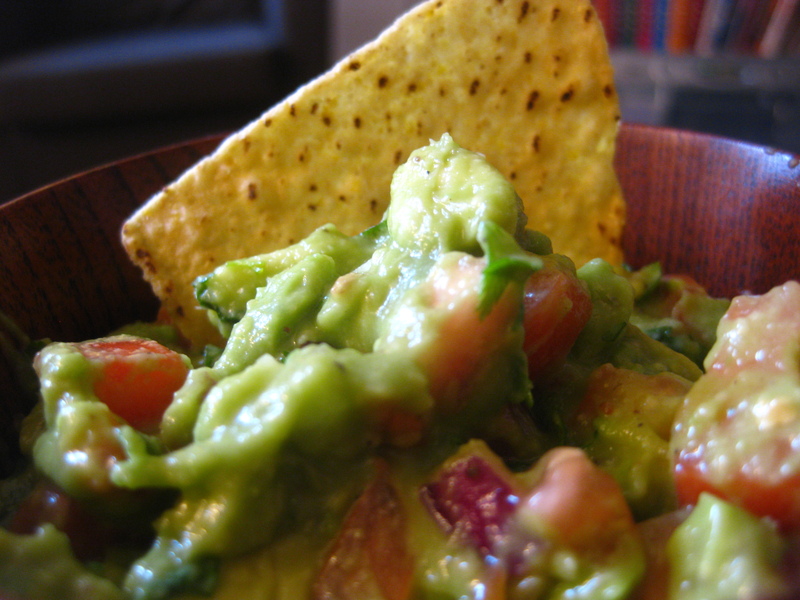 We love our guacamole thick and chunky with tons of ingredients thrown together. Kick it up a notch with Mango Pomegranate Guacamole and Chili Lime Tortilla Chips! 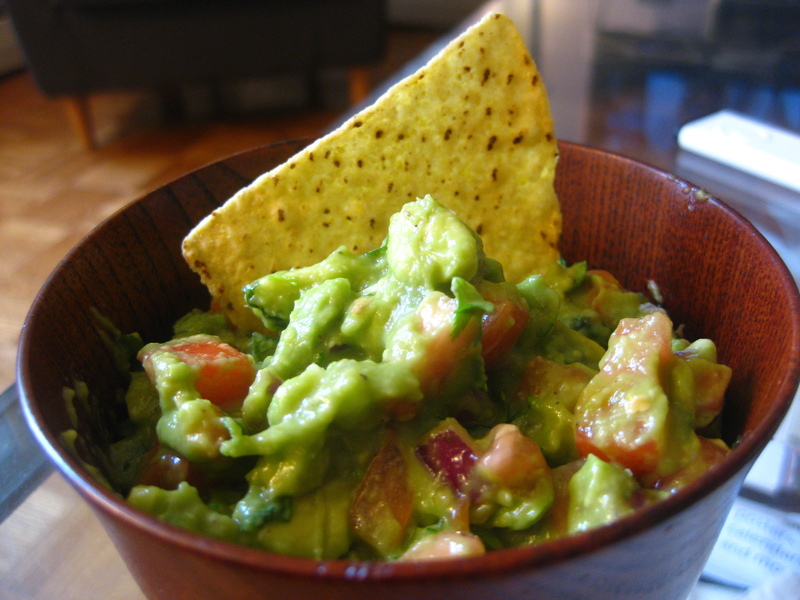 Mash the avocado gently in a bowl with the freshly squeezed lime juice – I like to leave in some chunks. Fold in the tomatoes, onions, and cilantro and add in all the seasonings according to your heat preferences!